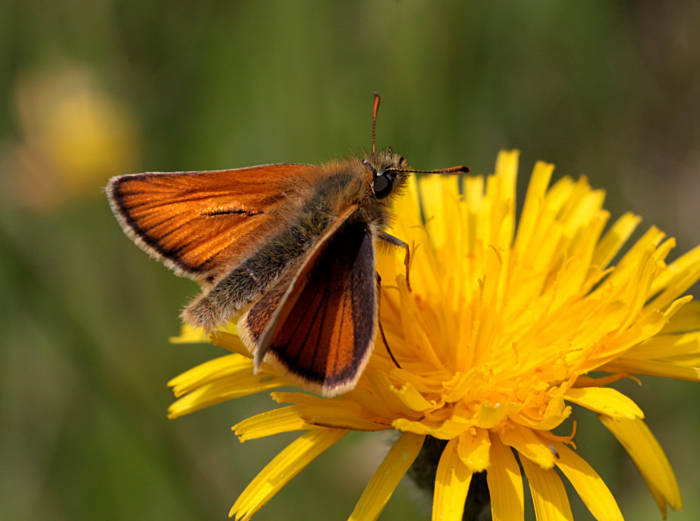 Notes: Common in rough grassland, downland, woodland clearings and roadside verges; 0-400 m (0-1900 m in Europe) throughout much of southern England, with records north to Yorkshire, Wales; mainland Europe. 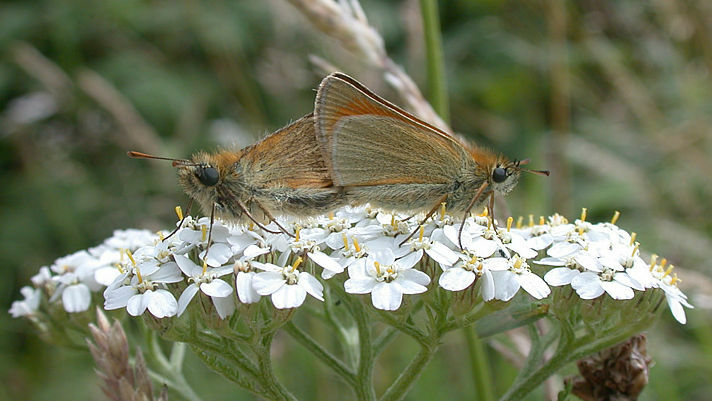 In Hampshire and on the Isle of Wight common in suitable habitat. Wingspan 27-30 mm. 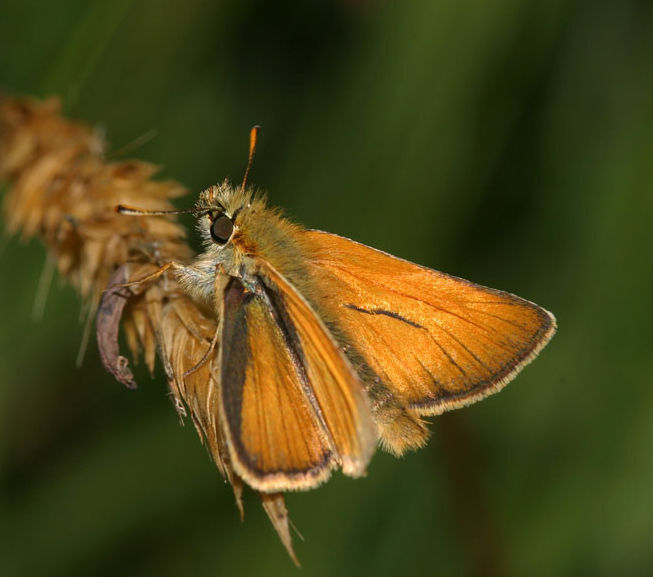 Similar to Essex Skipper, but underside of the tips of the antennae are pale. 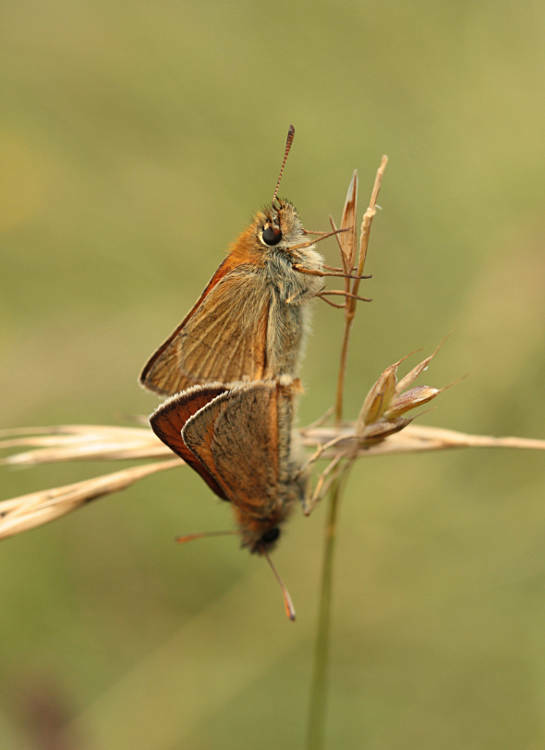 Larva feeds on Yorkshire-fog, Timothy and False-brome.